Every spring the vineyards burst back to life, it is such an exciting time of year. This year celebrate with a festival of activities.Start by raising a glass in celebration to the new vine growth with a wine slushie in hand! 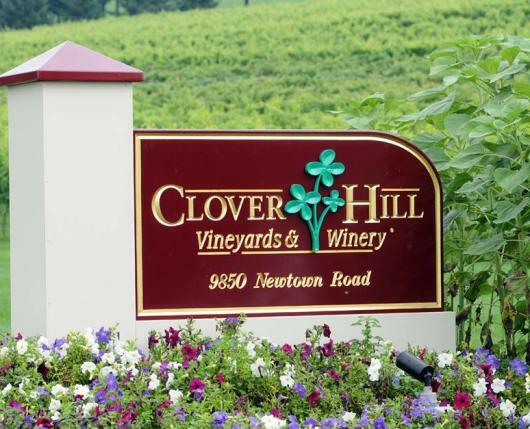 Join Clover Hill Winery in Breinigsville on Saturday, May 4 and Sunday May 5 from 1:00 - 4:00 p.m. for summer sipping slushies. Offering two flavors of slushies for purchase by the glass at only $6 - with $5 refills - and you keep the stemless glass. Festival of activities will include a tent hosted by igourmet. igourmet offers an array of gourmet foods and is located near Wilkes-Barre. Clover Hill carries a variety of igourmet cheeses year round, but on this weekend they will be on site offering samples of new cheeses and meats along with some Clover Hill wine pairings. The tented part of the day will require a $5 ticket purchase. Tickets will be available on site the day of the event. igourmet will also have their products available for purchase under the tent. Click here to learn more about igourmet. Cheers to another year of grapes growing before your eyes!